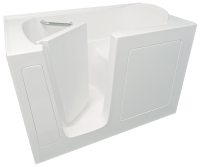 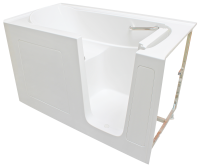 Our walk-in tub Model B2651 has a compact, yet comfortable 26-inch width and fits in installations where space is very limited. 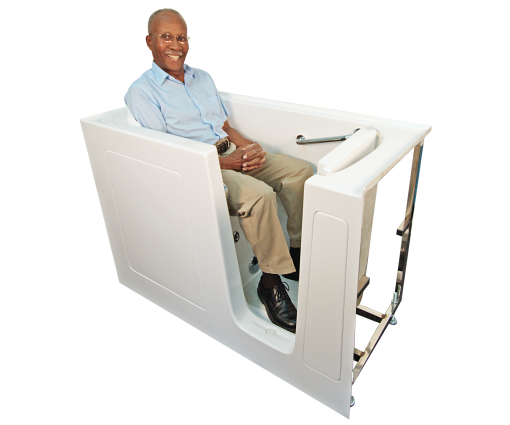 This model comes with a nine-inch wide extension kit that can fill in a 60-inch space or be cut to tailor the fit to less than 60 inches. This model may also reduce your installation costs by fitting through almost any door or hallway, eliminating the need for removal or replacement of bathroom or hall doorways. 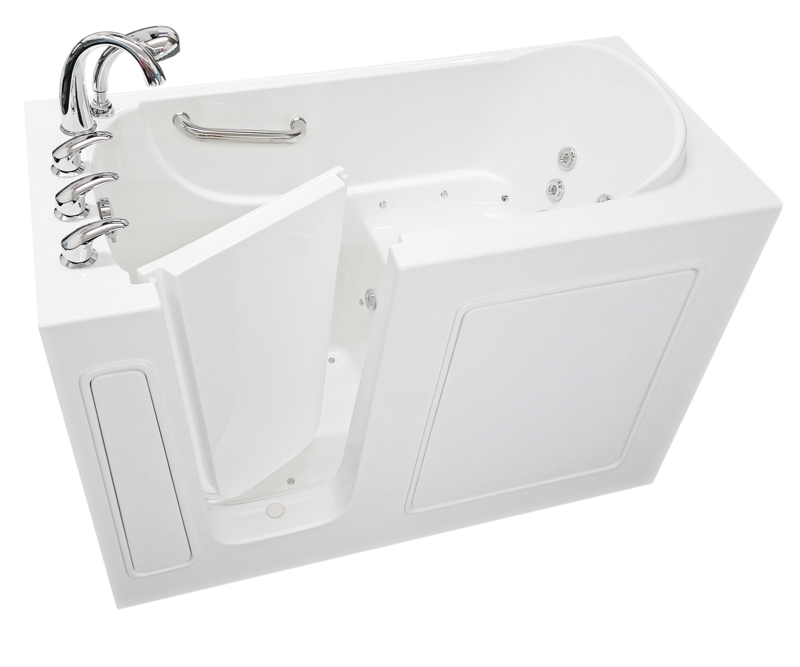 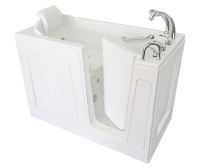 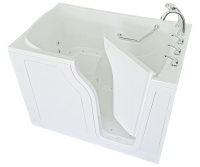 With its 36-inch height, this tub model is recommended for petite or shorter users between 90-140 lbs.